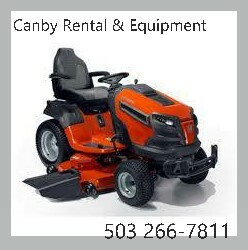 Summer Clearance Sale on now at Canby Rental & Equipment. All sale items limited to stock on hand. New Husqvarna TS348XD Garden Tractor Riding Lawn Mower. Garden Tractor with larger rear wheels and a heavy-duty frame. Electronic Push Button Locking Differential- Exceptional traction for hillsides or wet conditions. Certified mechanics specializing in your 2 cycle and 4 cycle repair and maintenance needs since 1979! We service all major brands including Husqvarna, John Deere, MTD, Craftsman, Echo, Cub Cadet, Troy Bilt, Redmax, Shindaiwa, Poulan, Exmark, and Scag to name a few…. Size or Dimensions : 48"